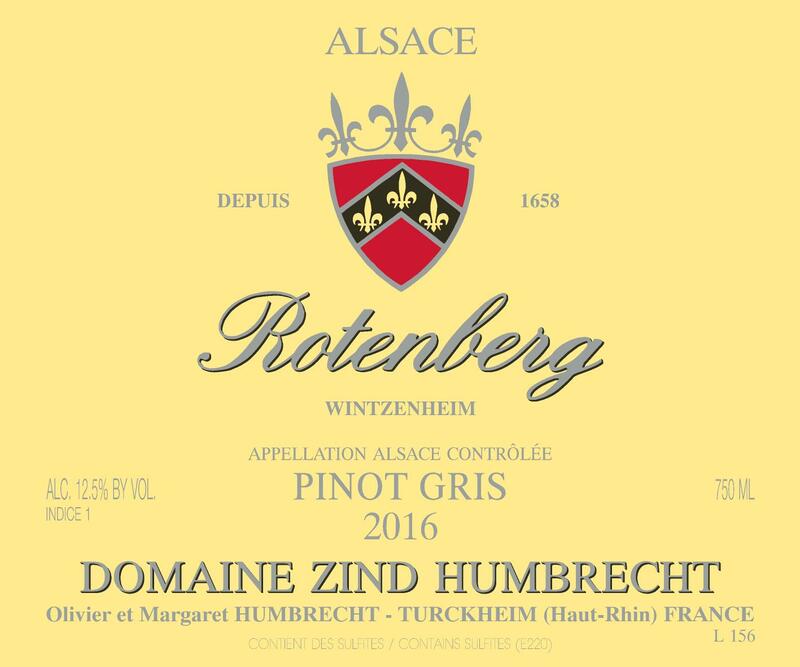 The Rotenberg vineyard enjoys a discreet west/north-west facing, hiding behind the Grand Cru Hengst, but benefiting from a wonderful opening on the valley of Munster and the Vosges mountains. This is a late ripening vineyard and therefore mostly planted with the Pinot family varieties. The poor red Oligocen limestone, rich in iron, reduces naturally the vigour of the vines and yields are typically very low. This vineyard showed in the past its ability to produce harmonious rich sweet wines, but due to the natural concentration of the grapes, it also produces complex dry Pinot-Gris wines, as can the last vintages from this vineyard demonstrate. Avoiding over ripeness was easier in 2016, for this grape and without excessive richness, it is also easier to complete fermentation for the wild yeasts. 2/2018: young pale yellow colour. The nose is delicate and under the reductive influence of the limestone. The grapes were very healthy and it shows through a pure and delicate aromatic profile (citrus, mineral, fresh barley, acacia…). The wine is on a very slow path and will take its time. The palate is surprisingly delicate, the lower alcohol of the 2016 vintage brings an almost Riesling texture. This Rotenberg can spend hours in the glass and will not get tired! The finish is silky, dry, medium long, salivating… this wine will be great with so many food types, almost anything that doesn’t require a red wine!